To the Boy Who Made Me a Mother: You have given me life. Today, you turned a whole year: ONE. Three hundred and sixty-five days old. Every one of those days you’ve made your Tatay and me the most happiest people in the whole wide world. We’ve never known a love like yours could exist, that it could be real and designed specifically for us. What’s in my heart is always in a form of writing; your Tatay always wear it on his sleeves. We couldn’t be more opposite when it comes to expressing our feelings. Now what’s in our hearts is a tangible, breathing thing in you… Wherever you go, you take our hearts with you. It’s been a whole year of overflowing happy tears. 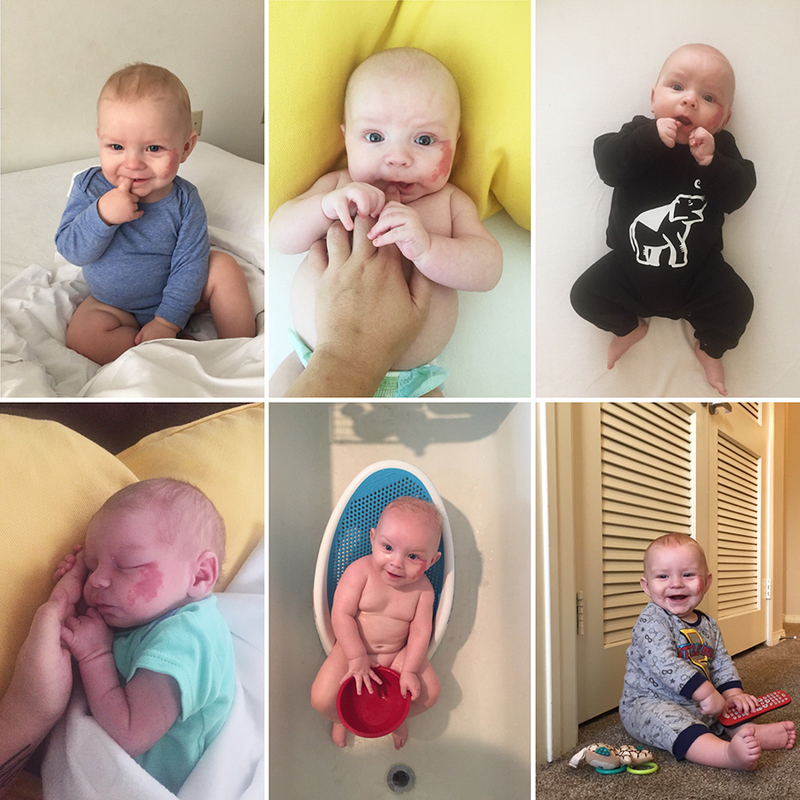 It’s been a whole year of diaper changes and baby formula (lots of ’em!). It’s been a whole year of traveling as a family. It’s been a whole year of watching you grow so fast— too fast for us(!). It’s been a whole year of learning about each other and from one another. It’s been a whole year of hugs and kisses that we will never get enough of. It’s been a whole year of finally experiencing a love like this, everything we’ve ever dreamed of and more. For nearly 15 years, I’ve dreamt of you but I could never see you… what your face look like in my mind’s eye. I never could make out the color of your skin, the shape of your face, or the brightness of your smile. Because for nearly 15 years, I waited for you to be born with a combination of our DNA so maybe you’d have my skin tone and cheekbones, have your Tatay’s infectious smile and warm eyes. When you finally arrived, you didn’t have anything at all that resembled either one of us and we couldn’t be more excited about that. Everything about you is now etched in my heart… I know the shape of your beautiful face, the color of your delicate skin and blue eyes, and the brightness of your infectiously warm smile. No more dreaming about what you may look like because I see you every single day. Thank you for making me a Mama and for allowing me to dream with you by my side every single night. Breithlá Sona! to the boy who made me a MOM. I love you more than anything in this whole wide world. To My Son’s Birth Mother: You have no idea what you’ve done. I cannot imagine how scared and alone you must’ve felt when you learned that you were unexpectantly pregnant. You had choices, and you chose to carry the baby to term at 37 weeks and he was born healthy at 7 pounds, 19¾ inches long, with blond hair and blue eyes. I still carry with me your only request to us was to let Baby know that you didn’t give him away… you gifted him to us because you wanted a different life for him that you didn’t know you could provide at the time. That your love for him is why you made the difficult choice to have us adopt him as our own. You will always be a part of him because you gave him life… You gave him a chance to grow up and become whoever he wants to be. You had choices and you chose to save his life. But, what you couldn’t possibly have known then is that you also saved our lives. You gave us the greatest gift we could ever have wished for and helped our hearts beat again. I see you whenever I look at his alabaster skin, silky blond-sometimes-red hair, and slate-blue eyes. He’s growing so fast and reminds me that he will be tall just like you, which means we are getting shorter when we’re already short Asians. ;) I see you when he crawls or walks in to my arms and I embrace him for us both, always. I see you in his eyes when he gives the widest and biggest laughs that make his eyes disappear, just like you. He’s yours. He’s mine. We’re his mothers. We are forever bound together you and I, you are always in our thoughts and prayers. Thank You for allowing us the privilege to name him. When we chose his name, it actually came to us and we knew right then and there it was the most perfect name for him and for us to honor you. Our son turns one in a few days… I’m running out of words to fully express everything I’ve felt this past year because there really are no words. Even as I write this post it doesn’t speak how my heart truly feels. How unbelievably humbled I feel to have received the gift of your heart in the form of this most beautiful child whom we call Oliver. When he’s sleepy, he reaches out for me and I cradle his little body next to my heart every night caressing his soft blond hair until he drifts off to sleep. Let my arms also be yours in knowing that he’s safe, healthy, and will never not know how much you love him like we do. A Baby Diary… to keep my heart beating with faith of motherhood one day. I’ve been praying for 15 long and lonely years. Dear Baby: A friend suggested that I find a baby item and place it by my bed to remind us of the journey your dad and I are going through to bring you home. 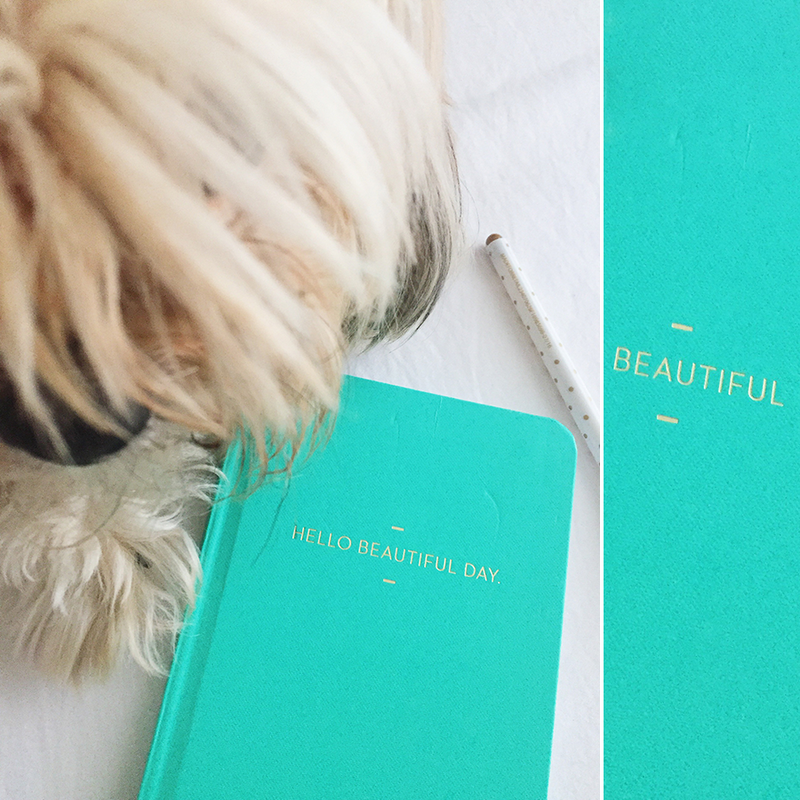 Instead, I chose to start this journal and write to you: Hello, Beautiful (Day). Dear Baby: After your Lola went to Heaven in April 2016 we spent many weeks trying to restart and figure out what is our new normal… it’s just Dad, Koda, and me in this little condo now. Dear Baby: It has been nearly 10 years since the last time we spoke with a doctor about why we haven’t been able to get pregnant… not even once. They told us that we’re fine and they cannot find anything wrong with us: Unknown Category.  Then our lives put on hold when we turned our focus to your Lola who lived with dementia. Dear Baby: Your dad and I are starting our research over to see what will be best for us now. Adoption or fertility treatments cost money… which is why I won’t be retiring from my photo business soon. Dear Baby: This is your dad. You may never know a love greater than his. Dear Baby: I am your mom. This may have been the first time I’ve uttered those words in any way. But, I am lost… I don’t know how to find you. Where do I look? Who do I trust? I’m torn because your dad believes you are waiting for us at an adoption agency. But, which one? Our adoption research so far has shown that we will need to save not twice, but thrice more than what we thought we could possibly do on our own. I’m disheartened to think how much longer it will take for us to get to that point, it was already a reach for us to get one-third of the way here. I am still accepting bookings to help with our adoption journey. Happy New Year!! May 2017 be the best year for you yet. P.S. I do not charge a travel fee so I am available worldwide. Passport ready! //To inquire about my Boudoir Packages & Pricing, please complete the Contact form or call 503-308-8228 (PST). Follow me on Instagram where I post daily. Baby Milk Bath Photos… and Boudoir Photography? Boudoir Photography doesn’t necessarily mean “naked woman in a bedroom,” of course, that’s been the trend which has defined how boudoir photography is nowadays. A boudoir really is just a French word meaning “a woman’s bedroom” and I’ve photographed hundreds of sensual photo shoots inside some form of boudoir, but I always look forward to doing boudoir photography the non-traditional way and outside the bedroom, ie. baby milk bath photos with mommy in the bathtub. No flower petals? Sometimes I am too simple to a fault… but, I don’t apologize for it, I embrace it. A milk bath photo shoot with mama and baby, that’s all. //To inquire about my Mother’s Day Portrait Packages & Pricing, please complete the Contact form or call 503-308-8228. Follow me on Instagram where I post daily. Need Mother’s Day Picture Ideas?